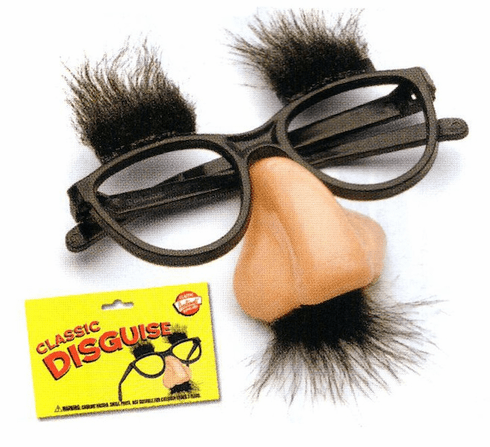 No one will EVER recognize you with this CLASSIC DISGUISE! Plastic frames, synthetic hair. Fits most adult heads.